Whatever Apple may be doing aside, dual screen phones and tablets are already right on the horizon. ZTE already released the Axon M dual screen phone late last year, and it is rumored that Samsung may be releasing a Note 9 with a bendable, dual screen setup this coming Summer. 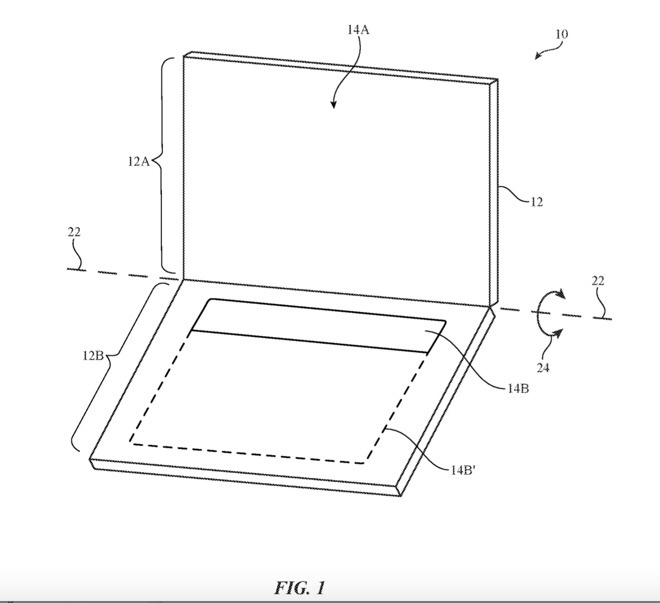 When you add to this the fact that Apple has already experimented with touch interfaces on the MacBook Pro with the Touch Bar, it is no surprise that they are looking at potentially expanding on those ideas. While an OLED keyboard on a MacBook is an interesting concept with lots of possibilities, I think the iPad version of iOS is a more likely candidate for such a new and interesting interface change. The fact that iOS is already completely centered on touch makes it a natural fit, in my opinion. Since I use my iPad Pro with a keyboard almost exclusively, I can definitely see the value in one that is permanently attached. What really intrigues me are the possibilities of an OLED touch panel beyond just acting as a keyboard. I think Apple is capable of delivering the goods with a virtual keyboard, especially thanks to the benefits of their Taptic Engine and Feedback technologies. However, there is so much that could be done with an OLED touch panel beyond just serving as a standard virtual keyboard. We saw a taste of this with the Touch Bar, and the tools that Apple gave developers to customize touch interfaces for use with their applications. Imagine that expanded to an entire ten to thirteen inch panel. Another cool current feature that would become more powerful is the ability to use the iPad’s on-screen keyboard as a virtual mousepad with a two-finger touch. Instead of intruding on the screen real estate of the iPad, you would have an entire screen that could be transformed into a touchpad for text editing and manipulation. That would be a killer feature for text manipulation and editing. And all of that is all still just centered on the input side. 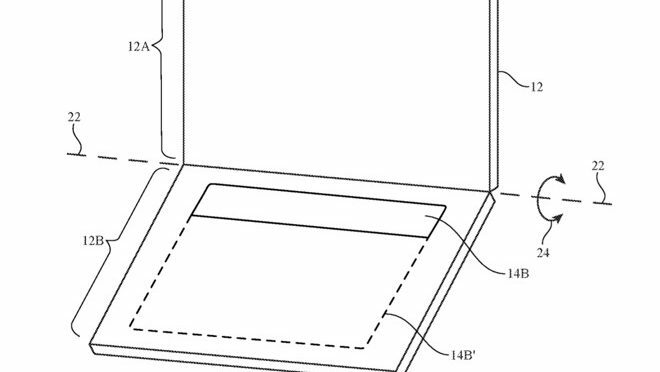 Another potential application would be to stand the device up in book form, and use it as a dual display tablet. Add in an external Bluetooth keyboard, and you have a productivity powerhouse. I could definitely see myself using this feature extensively. In my first Would You Buy…article, I asked if you, the readers, would be interested in a MacBook form factor device that runs iOS. While this device is different, it would really just be an expansion of the same idea. Instead of a slim, traditional keyboard, now we are talking about something unique and potentially very flexible. So would you be interested in an iOS device with an OLED touch panel as a keyboard and input device? Is the potential versatility enough to get your attention, or do you think a large, permanently attached virtual keyboard is a non-starter? Let me know what you think in the Comments section below, on Flipboard, on our Facebook page, or on Twitter @iPadInsightBlog.